There was a time when the lauded black athlete was skinny, short, jaunty and not nearly as scary as a basketball player with a grip of guns in a locker room. There was a time when the worst a blacklete could do to you was kick you in the shins and not kill you then make a terrifying reality show post acquittal. When the abused animals in their care weighed 1500 racing pounds instead of 80 fighting ones. 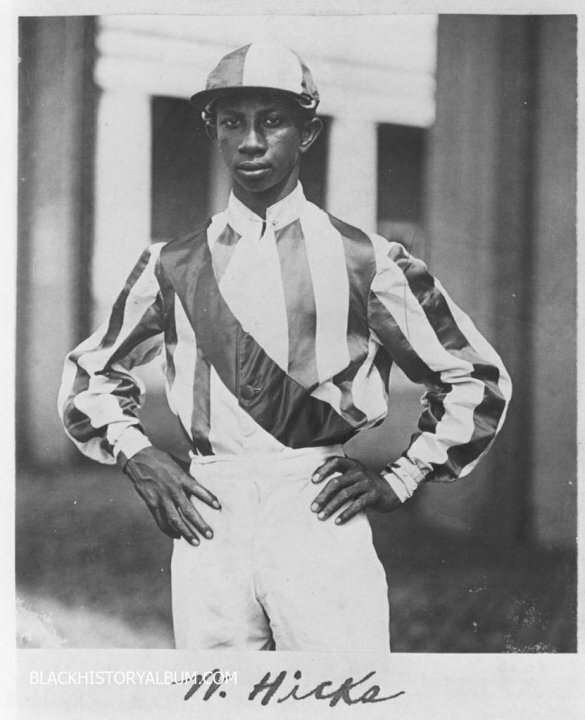 I’m talking about black jockeys. Between about 1865 and 1900, of color riders dominated the sport. Going to see a race was like watching the NBA finals and black jockeys set impressive records. Luckily, their legacy was preserved and distilled into a piece of sculpture that you can still sometimes find today. 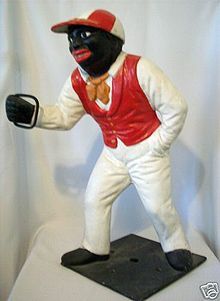 The lawn jockey. While many lawn jockeys are now painted white, the history of the statue remains in tact. This makes equestrian events a perfect choice for Oreos. Not only are few to no black riders of note on the circuit, but putting that jaunty outfit will give you the perfect chance to make an on-color joke and assuage the minds of those around you. Because if you can’t laugh at history, what can you do with it? Looking for other jobs that are good for Oreos? How about shilling for classic American institutions! See how The Oreo Experience responds to other animals. Check out how horses can help you hook up with an Oreo. Because if you can’t laugh at history, what can you do with it? Well, I can think of some new homes to shove that ‘lovely’ piece of history up into. But I fail at being considerate of assholes. Pun intended. The lawn jockey will go nicely next to my garden gnome and pink flamingo. Now all I need is a lawn.